will be held at the Hong Kong Convention and Exhibition Centre from 7 to 10 Jan. , 2019. The leading exhibition of baby products is about to start! 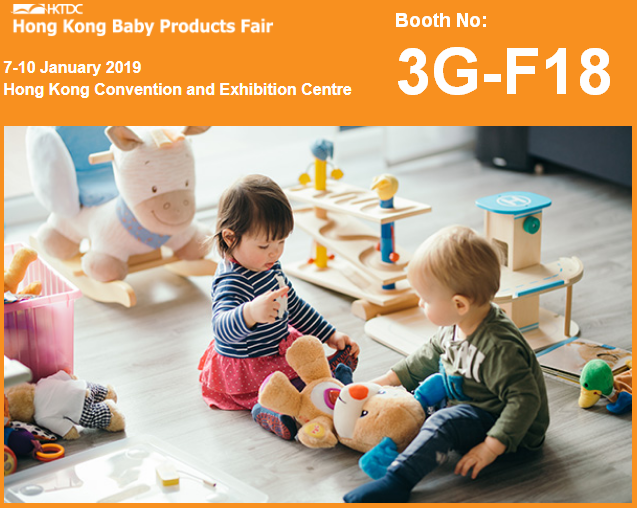 BabyGee is pleasured to invite the visitors of all languages to our stand 3G-F18. We bring over 20 years of experience in baby products to present you the top new design in 2019. As well as the sales representatives will provide you the most enthusiastic service in the exhibition! Absolutely the top beauty quality in this industry. Sincerely hope to meet you there to discuss more and have a cheerful chatting. More information, all in our Booth 3G-F18!